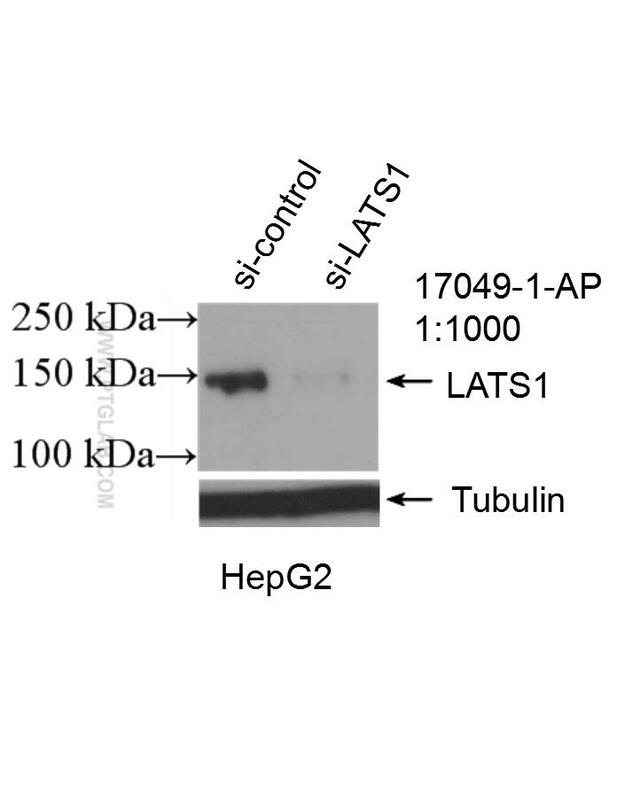 LATS1(Large tumor suppressor homolog 1) is also named as WARTS and belongs to the AGC Ser/Thr protein kinase family. The gene encodes a highly conserved (from fly to human) protein kinase that plays a crucial role in the prevention of tumor formation by controlling the progression of mitosis. The expression of both long(170 kDa) and short lats1 isoforms(120 kDa) in vertebrate retinal cells raises the possibility that these lats1 proteins may act as negative key regulators of the cell cycle each of them performing a unique role (PMID:15777619). 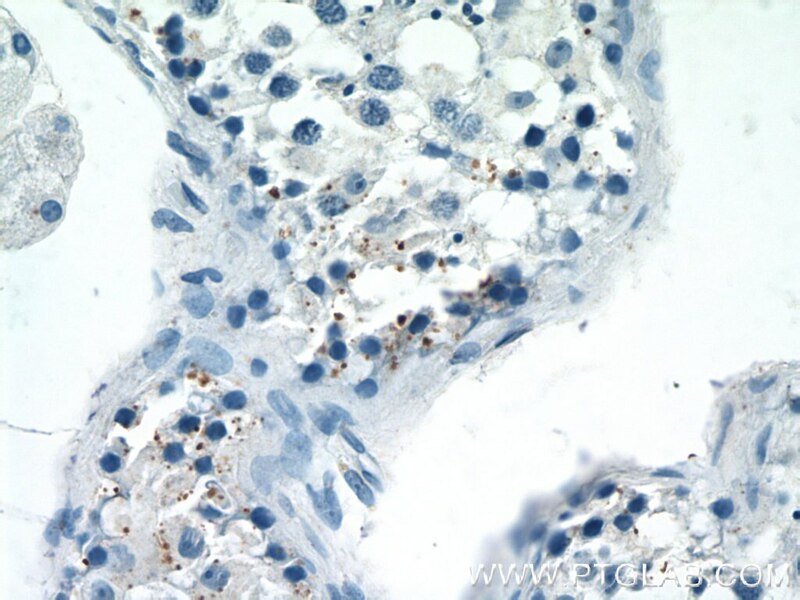 In mammalian cells, LATS1 was phosphorylated in a cell cycle-dependent manner and complexed with CDC2 in early mitosis (PMID:9988268). LATS1 also can be detected as 120 kDa and 140-150 kDa, and play a key role in the regulation of Hippo pathway (PMID: 27940445). Knockdown of yes-associated protein inhibits proliferation and downregulates large tumor suppressor 1 expression in MHCC97H human hepatocellular carcinoma cells. Yes-associated protein (YAP) binds to HIF-1α and sustains HIF-1α protein stability to promote hepatocellular carcinoma cell glycolysis under hypoxic stress. Heat-shock protein B1 upholds the cytoplasm reduced state to inhibit activation of the Hippo pathway in H9c2 cells. 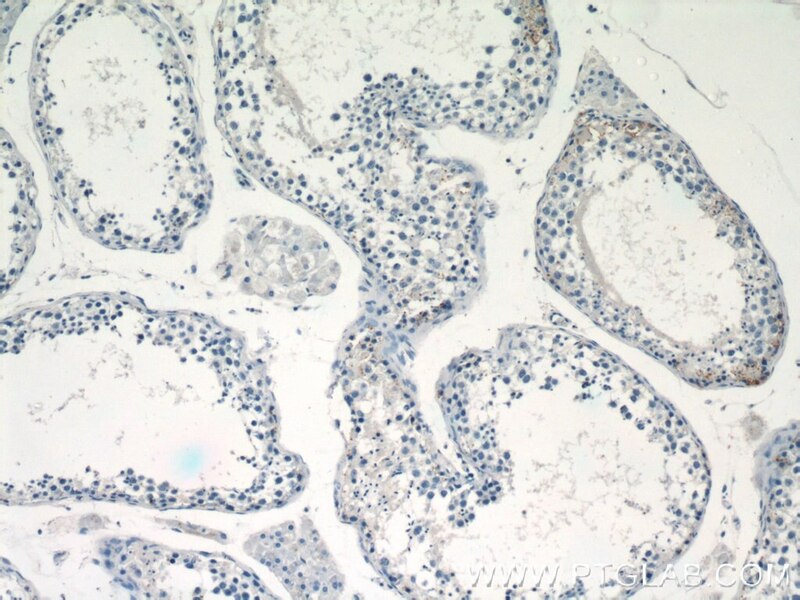 Expression of Hippo signaling pathway components in Hu sheep male reproductive tract and spermatozoa.